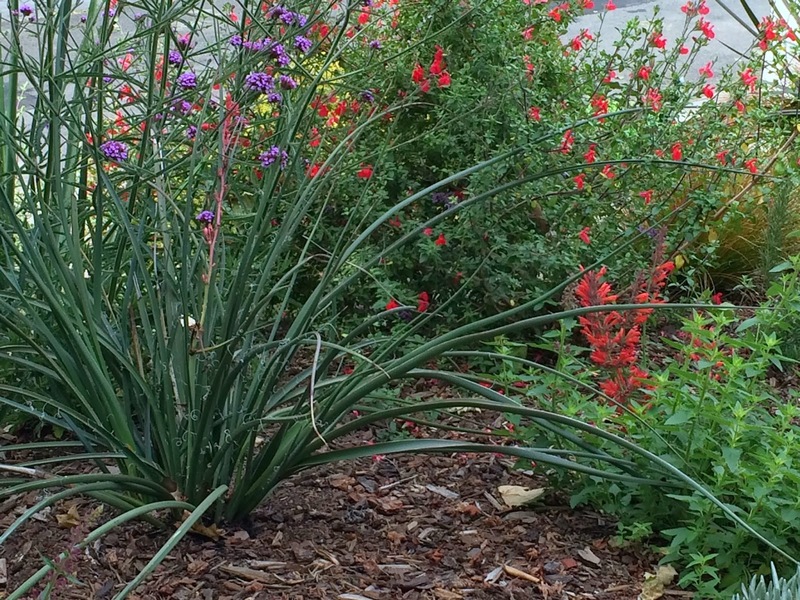 As we approach Summer Solstice our gardens reflect the drought conditions by a shortened growing season. 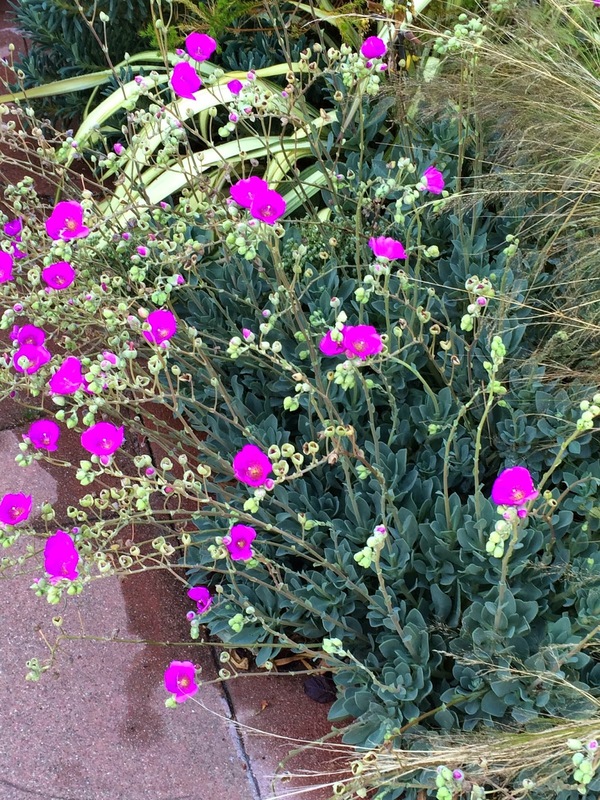 Many late summer blooming perennials have already popped and/or seem to be smaller than usual. 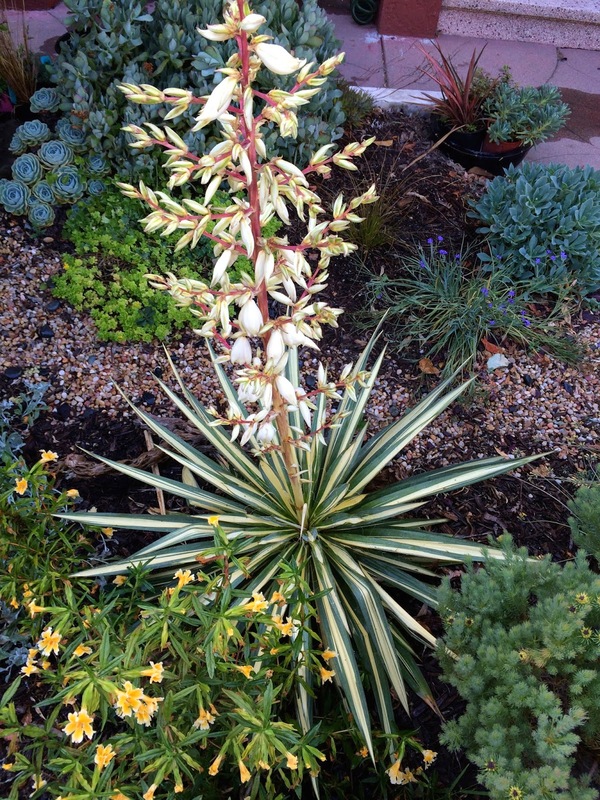 This photo taken in May captures a variegated Yucca in bloom. 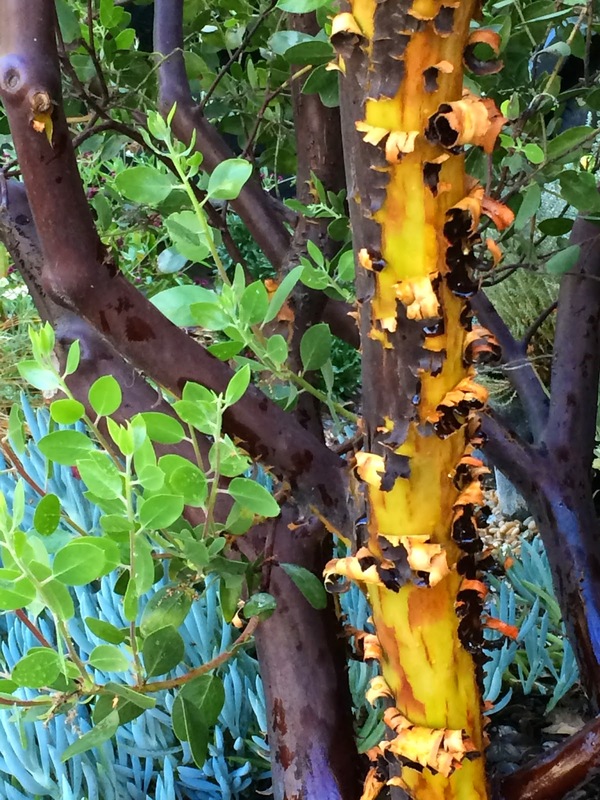 This mature Manzanita reveals what's beneath its beautiful chocolate outer layer. These photos where taken in April. 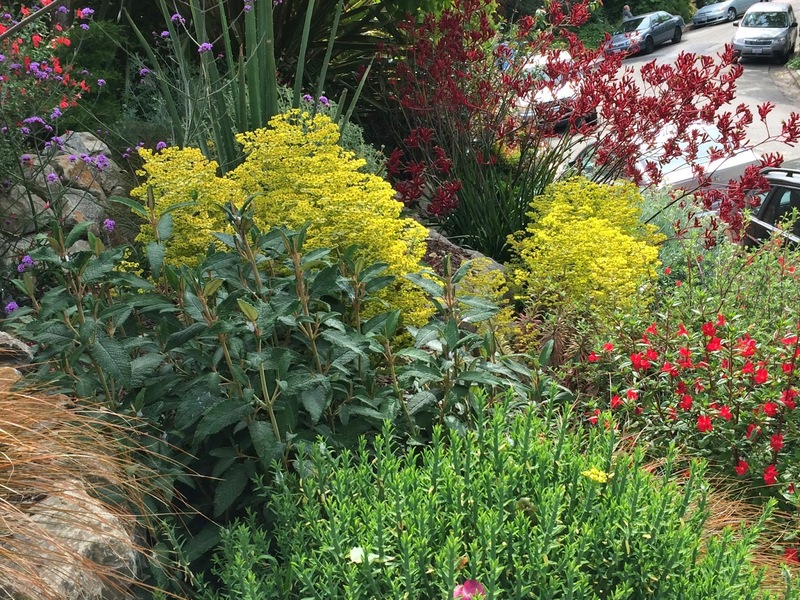 This Berkeley low-water garden is already in full glory. Euphorbia 'Ascot Rainbow' peaks out from behind this salvia. 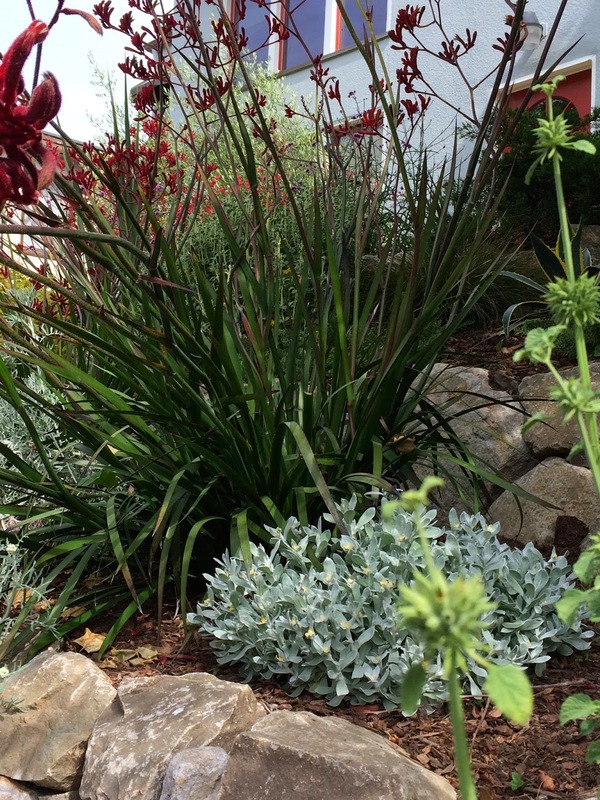 'Big Red' Kangaroo Paw along side Chrysocephalum.